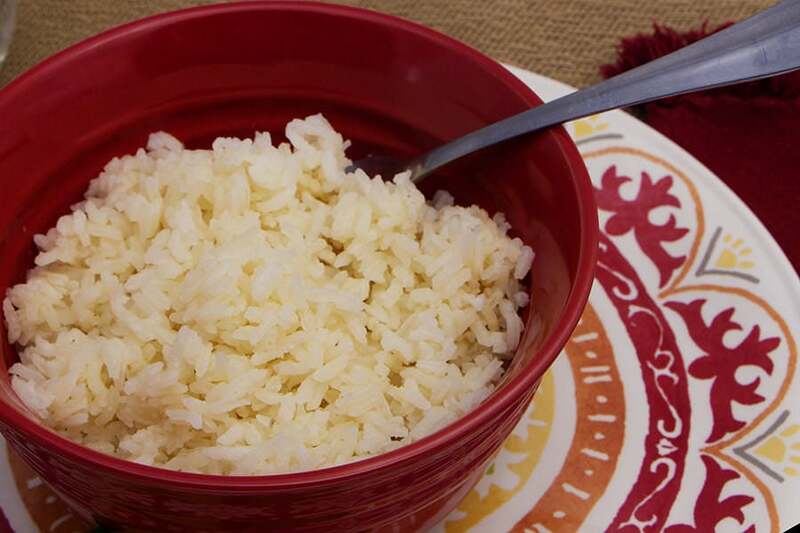 Savory Rice can be made on the stove top, or in a rice cooker whichever you prefer. This is not a time saver recipes because it takes the same time to cook as regular white rice – but let me tell you, it just tastes so much better! 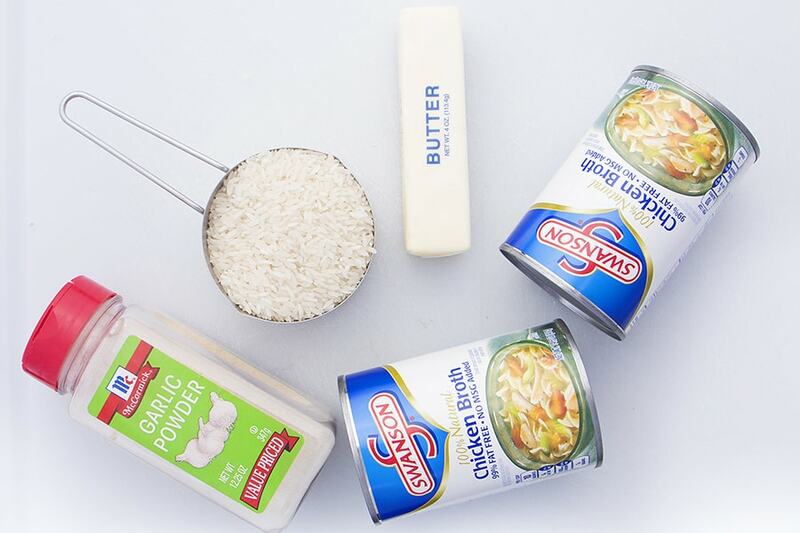 Put these simple ingredients in a pot and let them do their magic. 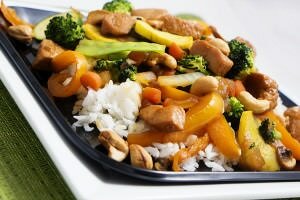 Savory Rice can be served as a side dish to many meals, or as part of the meal with Teriyaki Pork Bowl. Saving some for leftovers? Simply, warm it up in the microwave with a tablespoon of butter and it’s becomes soft once again. 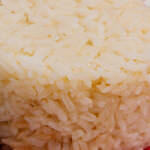 You too will find that Savory Rice will become a staple recipe for sure for a lot of your meals. TIP: If you’re cooking your rice on the stove top, be sure to rinse your rice two or three times until the water goes clear. You’re removing any starch and essentially preventing the rice from boiling over once you put the lid on. *Recipe adapted from Chantel W.
In a rice cooker or a large stock pot, place rice, broth, garlic powder, and mushrooms (optional). Start rice cooker OR over medium/high heat bring to a boil. Place lid on stock pot and reduce heat to low. Keep covered for 30 minutes.